A friend of mine (Assumpta) visited the popular Elephant Nature Park in Chiang Mai and kindly agreed to write a review of her experience for me. 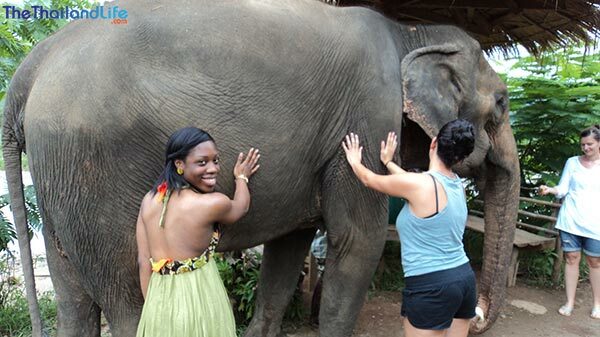 This sanctuary offers a very different experience to the commercial elephant rides you'd find on the islands and in other tourist hotspots. In fact, this is the place where those mistreated elephants end up. So before you pay to feed an elephant in the street, or book a trek on an elephants back, read Assumpta's review of this sanctuary as she unveils the truth about Thailand's elephant population. If you find yourself in Northern Thailand, this is something that you simply cannot leave without experiencing. The day that I spent there was by far one of the most memorable moments of my life to date, and it is far from hyperbole when I say that everything about the park was awe-inspiring; from the specially adapted enclosures and tree house, which blended seamlessly with the landscape, to the members of staff and elephants themselves. The trip was recommended to me by someone who had gone some months before, and I’m so glad that he sold me on the idea of going because I was able to feed, bathe and learn so much about Asian elephants. In addition to this, I got to enjoy a lovely meal and meet some fantastic people. The price of the trip is 2,500 Baht (roughly £50). Considering the education provided, the experience and the fact that you are donating to a great cause, this is a small fee to pay. I felt so wonderfully small in the grand scheme of things, and when standing in the middle of acres and acres of land amongst those elephants, I really could have cried. Established in the 1990s, the Park is a distinctive project that aims to serve as a rescue centre for over-worked or ill-treated elephants. 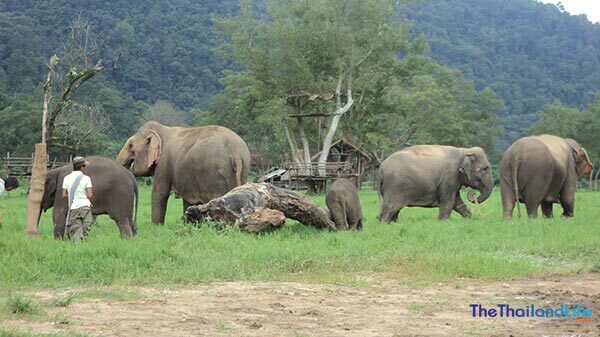 Set in Northern Thailand, 60km from the province of Chiang Mai, the sanctuary has provided a home for over 34 distressed elephants from all over Thailand. The park's distance from the city means an early start for anyone wanting to make the trip, but collection by mini-bus from your point of choice (i.e. hotel or apartment) makes getting lost less likely and was a convenient added extra. As we neared the Nature Park, a DVD was shown, which I thought was a nice but gentle introduction to some of the harrowing details we'd learn later. The first thing I noticed as the mini-bus neared the ENP was the close proximity of what I think was a neighbouring hotel offering elephant rides. It did strike me as odd, but far be it for me to stop and complain and start protesting their nearness to a much more worthy cause. I, like most people I know who like travelling, harboured wishes of one day riding an elephant into the jungle somewhere, but little did I know that dream was about to change. Once we’d reached our destination, and what looked like the sort of tree house you see in films or conjure up in childhood dreams, it quickly became apparent to me that elephants weren’t the only animals that the sanctuary played host to. There were dogs everywhere. Big dogs and small dogs, all varying in breed, and the odd cat here and there. I later learnt that some buffalo also resided at the Park, and found out about the cows when they seemingly appeared from nowhere and started charging at us in the fields, which did wonders for my heart rate! After being shown around the bespoke facilities, being given a rundown of the day’s activities and being told the all important do’s and don’ts of elephant etiquette and general handling, we were ready to feed these enormous and wonderful animals. As I walked towards the elephant we were to get up close and personal with, I was finally able to see the beauty and vastness of the park. It stopped me dead in my tracks. I whipped out my camera and not only took pictures but recordings of the scene – none of which did it justice, but I needed to document the experience in more than just my memory bank. I wanted tangible evidence to show my future children and grandchildren in years to come. Surrounded by forested mountains resting in a natural valley bordered by a river, the setting for the ENP couldn’t have offered a better glimpse of rural Thai life, and I had to mentally and physically record it. I wanted to be reminded of this fertile and utterly serene valley, enclosed by an equally beautiful mountain range. Once I finally came back to earth and stopped marvelling at my surroundings, my 5”2 frame was dwarfed by the elephant chosen to be our introduction to their world before meeting the rest of the herd. She was female and a bit of a loner, save for her mahout (keeper – usually Burmese) who she wouldn’t go anywhere without. The story of their relationship was pretty endearing. The guide informed us that as long as her mahout was around and we didn’t do anything to antagonise her, then we would be safe. Petting and then hugging her tough, bristly skin was somewhat surreal, talk less of when I extended my hand holding the fattest cucumbers I’d ever seen for her to collect with her trunk and stuff into her mouth. We eventually got to see and feed the rest of the elephants, which ranged from babies to grandmothers and even an expectant mother. Only two of them were actually related, but they’d formed a quasi-family which was really touching. All of them had been rescued and it was plainly obvious to see that some had had it better than others. There were three that really struck a chord with me. One been used for in the practice of logging, and after she hurt her leg working her owner used her for forced breeding and she then broke her back. The second had been a show elephant and the tricks she was taught were so ingrained in her psyche that when she heard a certain noise or you said specific words, she would still perform tricks. The third had its legs and ears damaged after stepping on a land mine. As if that wasn’t enough, a DVD based on the plight of the Asian elephant was screened half way through the day. It was so harrowing that it left some people in tears. The violent practices used in order to break an elephants spirit, not to mention the sharp implements used to poke it into submission on a daily basis, are sickening. 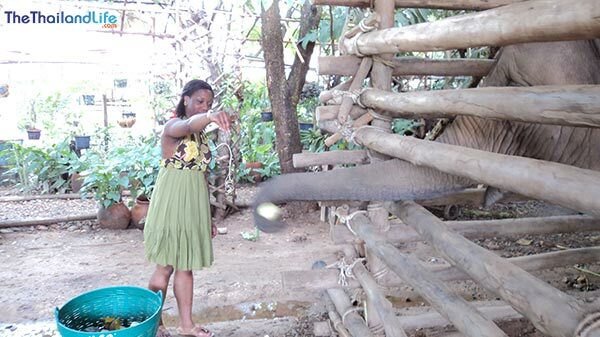 Whilst it may be novel to see elephants walking around in busy city streets, posing for pictures and performing tricks for tourists, it isn’t fun for them, no matter what the fraudster street-handlers may tell you. 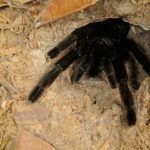 The feet of these colossal creatures is so sensitive that the vibrations from motorised traffic and various noises going on around them make them crazy, which is why you often see them rocking from side to side. The food passersby pay to feed them is often forcefully retrieved (or regurgitated) and rinsed so it can be sold to the next person wanting a picture. I learnt so much in one day that had never previously even occurred to me, that the desire to ride an elephant quickly left me. Note that we were told that elephant riding isn’t necessarily bad if the rider is light, the animals aren’t prodded in the ears with metal-tipped spears, and they are given regular breaks along with food and water. I’m so grateful for the work being carried out by Sangduen ‘Lek’ Chailert – the ENP’s founder, as well as all of the staff. I got to meet Lek before we left the Park and although shorter than me, she has one of the biggest heart of anyone I’ve known, and you can understand how and why she commands so much respect. 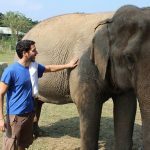 The Elephant Nature Park in Chiang Mai successfully provides a hands-on conservation experience which leaves you feeling as though you’ve actually had a hand in contributing to the survival of these highly endangered and mistreated creatures. 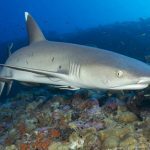 So whether you only have the time or money for a day, two days or weeklong visit at the Park, it is bound to provide a unique understanding of their plight and remain etched in your mind forever. I visited this place and wow, what an emotional journey. 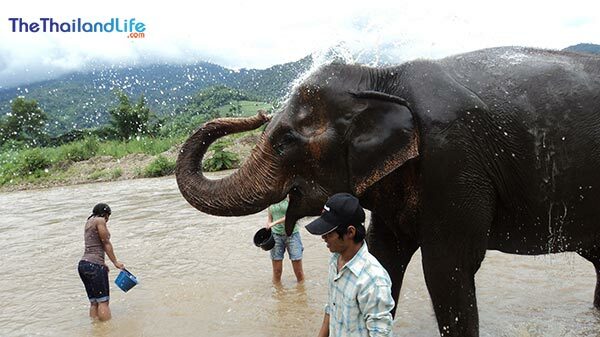 I had no idea of how elephants were used and abused until I met Khun Lek and her wonderful staff. Thank you for this review, I'd have never visited otherwise. Agreed. If you're staying in Chiang Mai this is one must do trip.